For the past four years I’ve gone up to Scotland each April to spend a weekend with a friend for their birthday. During that trip, we’ve always gone to St Andrews and I thought I’d share with you one of my favourite places that I visit whenever I’m there! 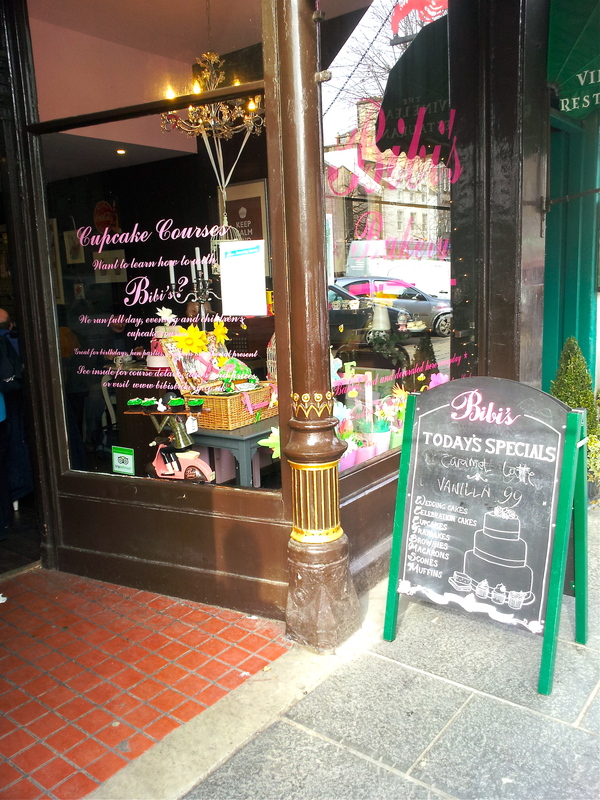 Tucked away on the main street, beneath a brown awning, lies Bibi’s Bakery, one of the most fabulous cupcake shops you’ll ever come across. The walls are adorned with wonderful retro wallpaper and the counter is filled with countless flavours of cake and macaroons. I always get an After Eight cupcake – often a Chocolate Orange one too – and this year I tried a lovely Vanilla creation topped with a flake and strawberry sauce. The cakes are well priced at only £1.75 each. There are other chains of Bibi’s open in Aberdeen and Edinburgh (I visited this one in December and it was just as lovely!) It’s definitely worth a visit if you ever find yourself up in Scotland! ← 6 Months Since Opening Day!